RootHub's songs leave the listener vibrating a bit higher at their end. 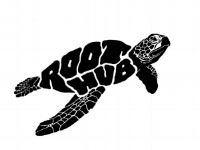 Take 1 part Kerouac, 2 parts Dylan, 1 part Tom Waits, a dash of saltwater and you’ve got Root Hub. RootHub has entertained audiences around the globe. His music has the ability to get right to the heart of the matter. RootHub is a master at creating immediate music on the fly. His gift for improv songwriting has delighted and inspired masses from the beaches of Hawai'i to the penthouses of Manhattan. His goal: a song in every heart. Let RootHub invent a custom theme song for any occasion you may need. SONGRISER is an exploration of ritual, creativity, and magic through spontaneous music. This workshop connects people to the power of their unique voice while igniting life changing song. SONGRISER equips individuals with tools to acknowledge the past, honor the present, and activate the future. As a singer songwrtter, RootHub's music has always connected with fans of rock, soul, folk, world, and singer songwriter styles. He's been making music since his teens and has had his music featured in major motion films and international marketing campaigns. His style has been dubbed "Life Music". His songs leave listeners vibrating a bit higher after hearing his voice. INSTANT ANTHEMS are pocket sized theme songs created in the moment by RootHub. Give RootHub a couple of words about the theme of what you want him to sing and he'll dream up a tune on the spot that will make your heat beam. RootHub has shared this gift at festivals like WANDERLUST & HAWAII YOGA FEST, Weddings, Incentive events, Retreats, and countless other celebrations. SONGRISER is an exploration of ritual, creativity, and magic through spontaneous song. This workshop has been featured at WANDERLUST, HAWAII YOGA FEST, and KALU YALA. SONGRISER equips individuals with tools to acknowledge the past, honor the present, and activate the future.